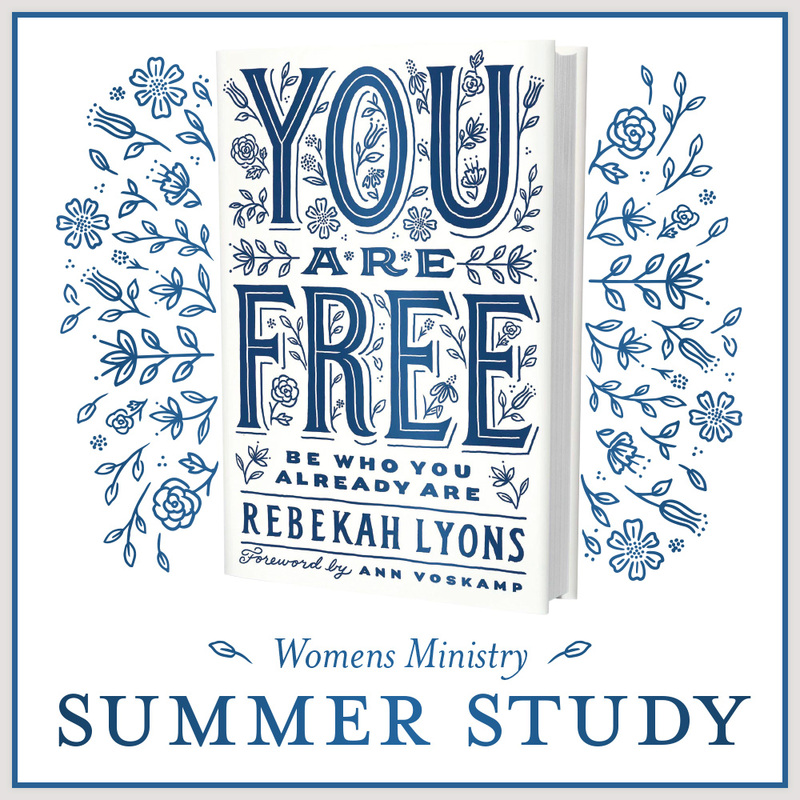 Join us for a study of You Are Free by Rebekah Lyons. July 11 – August 15 7:00 – 8:45 p.m. In this video-guided study, Rebekah Lyons will help us reject the lie that what others think of us determines our worth. Jesus whispers, I gave my life to set you free. I gave you purpose. I called you to live in freedom in that purpose. This study will help you overcome the exhaustion of trying to meet the expectations of others and rest in the joy God's freedom brings. Christ doesn't say you can be or may be or will be free. He says you are free.